With this App, you can track your menstrual cycle. You can save your period begin and period end dates. Based on your data, it calculates automatically your longest and shortest cycle length. This app can be used in two modes: protection and baby mode. 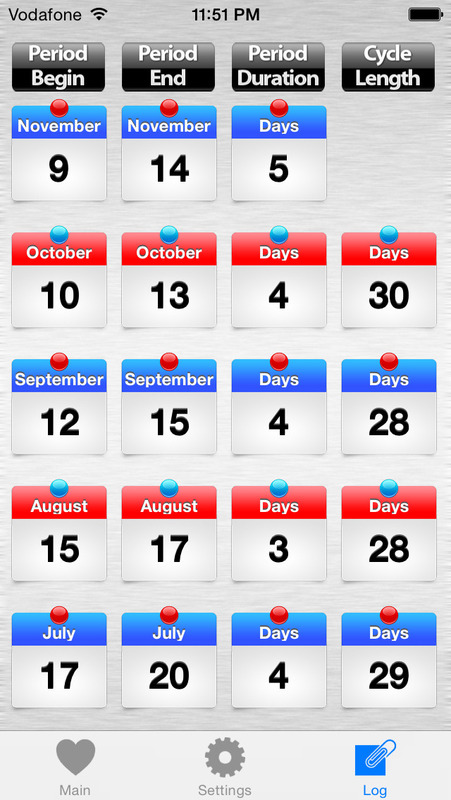 In both modes, you will see your monthly overview in a wheel calendar, in which always one month ahead is visible. 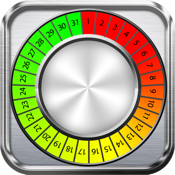 The main wheel calendar shows the pregnancy risk in protection mode and the pregnancy possibility in baby mode.